What is a BetStars PIN? 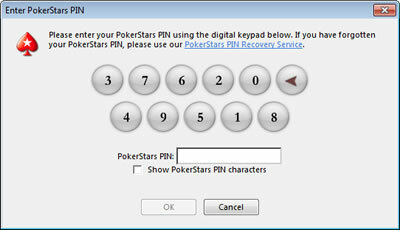 A BetStars PIN’ is a six digit number that is issued by BetStars, in addition to your password. Once a BetStars PIN is set for your account, you will be required to enter your BetStars PIN number by clicking on an on-screen keypad, every time you login. Each time you try to login to your BetStars account, the numbers will change position. That will stop most keyloggers from recording where you click and what buttons you press and help to protect the security of your account. The use of the BetStars PIN also enhances account security by providing an additional validation number, which would prevent you from being exposed to certain types of ‘phishing’ and ‘social engineering’ scams. “There are two steps to this process. You will need to first ‘Request’ a BetStars PIN. Once you request your BetStars PIN number, you can then ‘Enable’ the setting on your account. To request and activate this feature on your account, follow the instructions below. 1.2 Click ‘Account’ on the bar in the BetStars lobby, then select ‘Login Security Settings’. 1.3 Next, click ‘Request new BetStars PIN’, and then confirm your request. 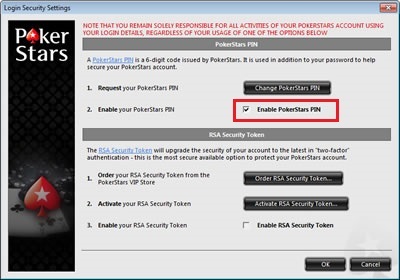 1.4 An E-mail containing the BetStars PIN will be sent to the e-mail address that is registered on your account. Once you receive your ‘BetStars PIN’, you will then need to enable it (see below). 2.1 After you have received your BetStars PIN, log into your BetStars account as normal. 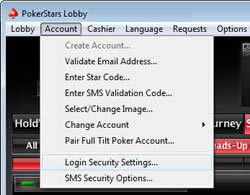 2.2 Click ‘Account’ on the menu bar in the BetStars lobby, then select ‘Login Security Settings’. 3. Check or tick the check box next to BetStars PIN. 2. Click ‘Account’ on the menu bar in the BetStars lobby. What happens if I lose my BetStars PIN? If you lose your BetStars PIN, you can request a new one, which will be sent to your email address. Open the BetStars software, provide your username and password, then click ‘BetStars PIN Recovery Service’ when prompted for your BetStars PIN. Will using a BetStars PIN make my account completely secure? The use of this feature can enhance your BetStars account security and reduce your risk to key loggers and phishing attacks. However no single feature in itself can completely eliminate the risk involved. Be aware that if an unauthorised individual is able to get access to your incoming emails they will be able to request a new BetStars PIN for your account. A BetStars PIN helps to reduce the risk, and is an important part of our comprehensive security strategy.